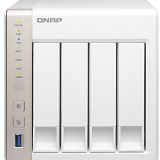 (QNAP 3TB RAID NAS Drive) – My NAS drive failed and contacted TDR for recovery, they were able to recover my data but admittedly it took longer than I expected. (32 Gigabyte SD Card Recovery) -Staff were fantastic from the second I emailed them regarding my problem, quick service and if anything goes wrong again will be using them again. I damaged my external hard drive (500GB) on a business trip. The hard drive contained important information that I required. I was therefore delighted when Titan recovered almost 100% of my data and would highly recommend Titan for data recovery. (1 TB External Hard Drive) – I would definitely recommend Titan for data recovery. I was quite worried about loosing all my files, but Tanveer explained everything clearly and helpfully. They managed to retrieve all my files and gave me some good advice on how to avoid the problem in the future.